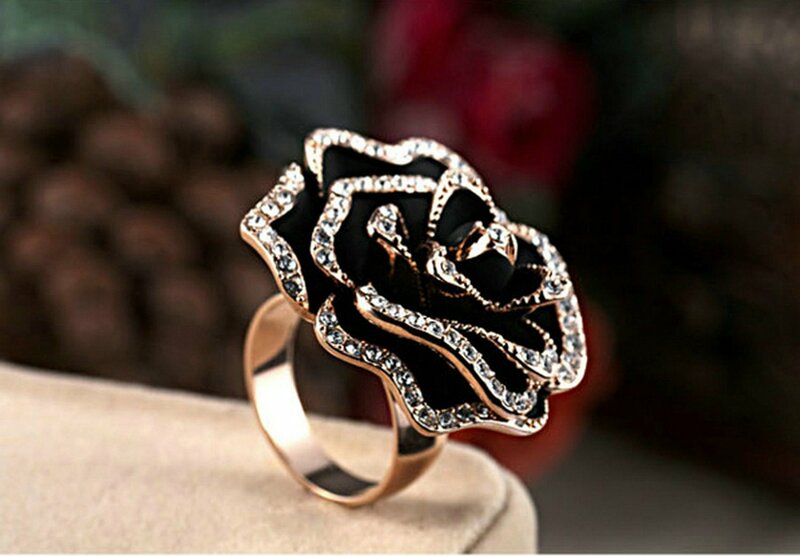 Material: Alloy with three-layer 18ct rose gold plated. 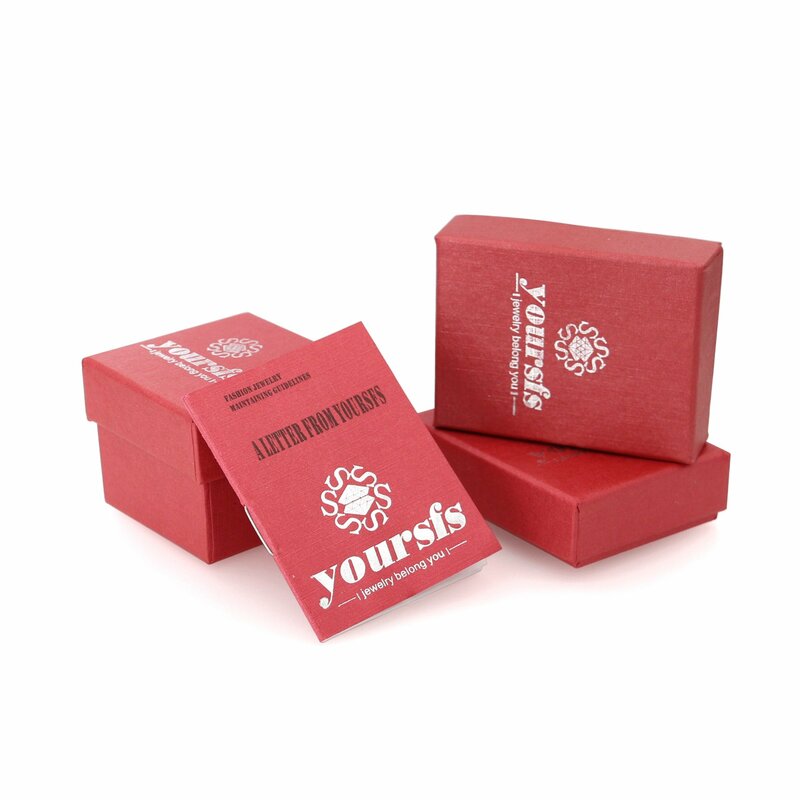 Package: Come with a jewellery gift box. 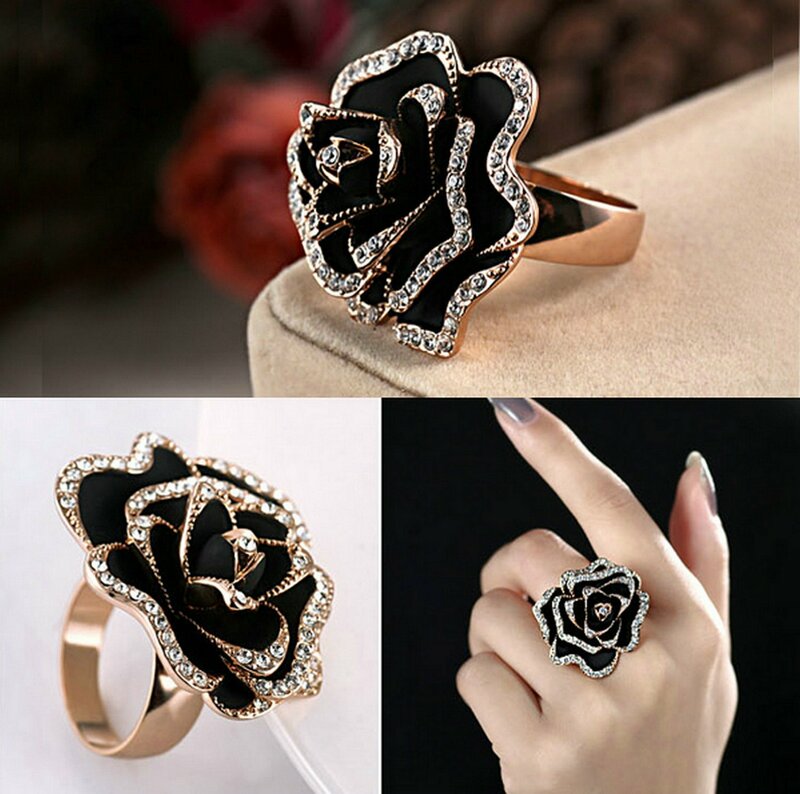 Design: Black flower-shaped ring inlaid dense clear crystal. Why the ring is make your finger green? 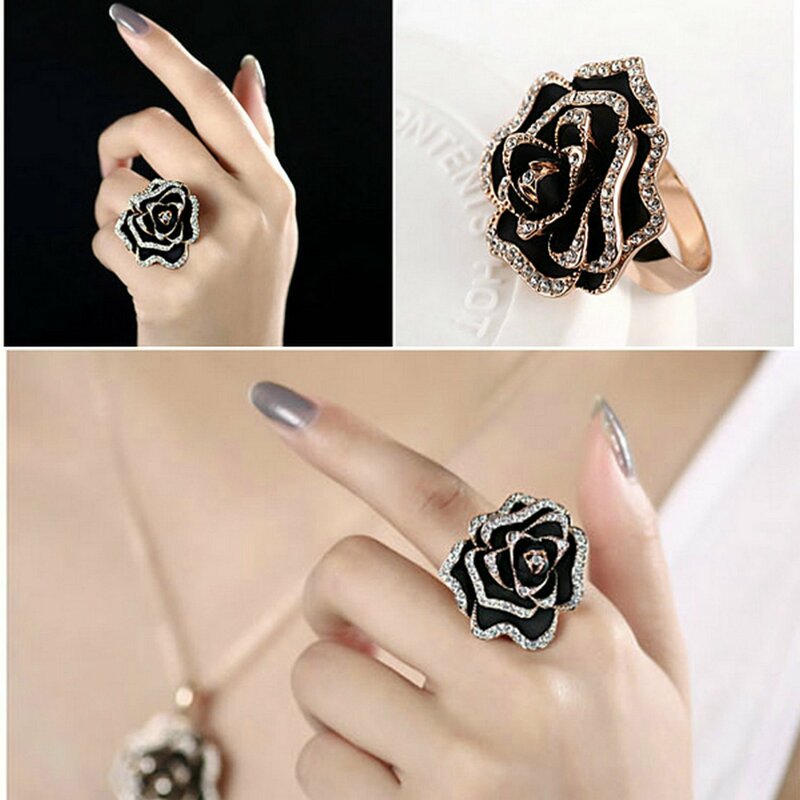 1.Why the women’s ring makes votrte finger green?This is as a result of the reaction between the acid in the skin and metal ring or the reaction between other substances in the hands, for example, reaction between detergent and metal ring. 2.There are a selection of other metal materials in the ring.As the resistance to corrosion is not good, as time goes by, it is normal that it fade. 3.Sweat can remove the corrosion of metal and colour fade in case you are doing sports. How to keep its colour for longer? 1.Prevent from coming into contact with acidic or alkaline substances. 2.Avoid the collision for résisiter surface wear. 3.Avoid contact with perfume, hand washing, shampoo or other chemical substances harmful to look good. 4.To eliminate sweat, take a shower or sleep to wear at the time. 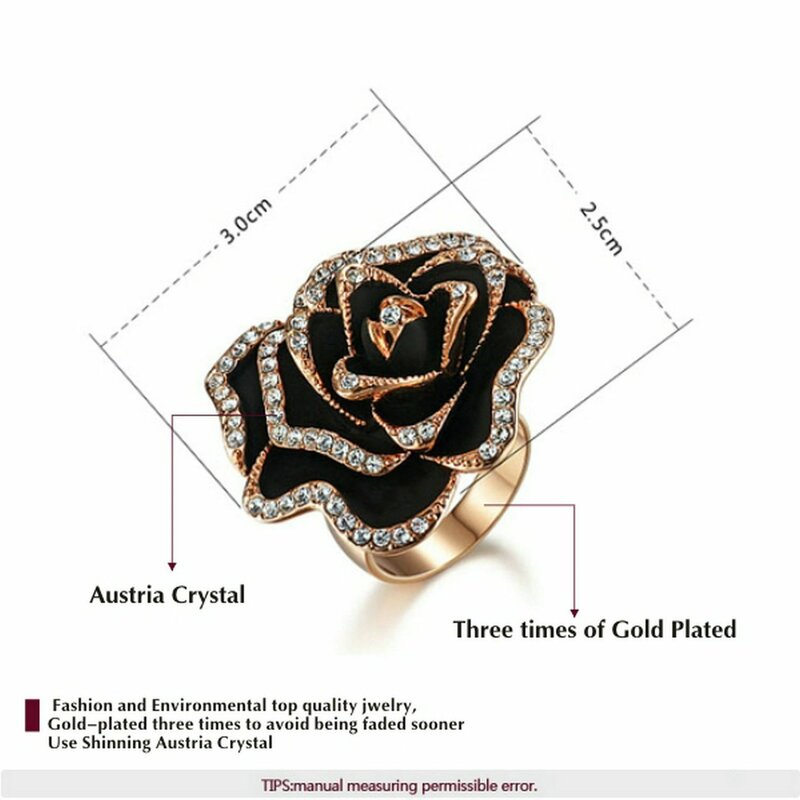 5.Different to other rings instead of a ring the same all the time.Cleaning the surface with the usage of soft to make it fit for on a daily basis.It is better to put it into the box. 6.Certain to put a polymètres as a barrier between the ring finger, for example, nail polish. Please do not hesitate to contact us, we would do our best efforts to bring you good service. 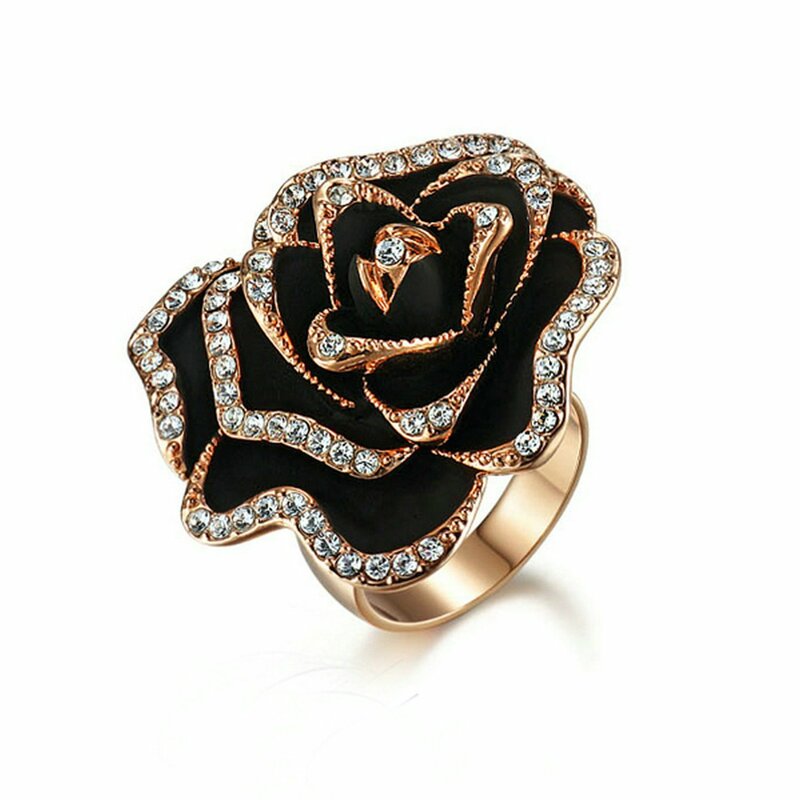 Fashion Comments: Inspired by the art deco style, the ring set a warm contrast between the black and rose gold tones. Do not hesitate! Service: If in case you have any questions, please do not hesitate to contact us that we can do our best efforts to provide a good service and solve your problems as soon as imaginable.